“Offence is the best defence” neither makes sense in nor is it the aim of Aikido. The elementary play with the energy of the partner, to use it, redirect it and to apply it in order to elegantly disroot the opponent, those are essential elements of Aikido. Read more. Effective self-defence often evolves out of a military background: The philippine Arnis/Eskrima not only uses Arnis-sticks, but also machetes, umbrellas, chains etc. to neutralise the opponent. But even without weapons the fight may not be over… Read more. The art of drawing the sword – in any situation. The perfect technique combined with the perfect moment. Read more. 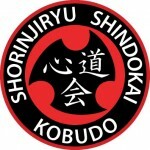 Kobudo, in times past also called Kobujutsu, stands for weappon techniques and systems originally developed in Okinawa. Kobudo means “little budo” or “old budo” Read more. Eventhough Karatedo is known by many people, as always the focus lies in the detail: Shorinjiryu Kenkokan Karatedo is exclusively taught in Germany in the Shindo Dojo. This quite complex classic style emphasizes etiquette, effectiveness and the “DO” in Karatedo. Parts of the training contents are Kihon (basics), Kata (form), Kumite (fighting) as well as Nage Waza (throwing techniques), Kansetsu Waza (locking techniques) und Buki Waza (weapon techniques). Read more. Koshiki Karate is an competition system with its own training system. Its a safety-contact system using safety equipment such as a face guard (men) and body guard (do). It is an advancement of the bogu kumite. The competition consists of Kata, Kumite Shiai and Bunkai Kumite. Read more.